support the LCD driver market. resolutions in the market today. Aronoff, Vice President of Marketing and Business Development for Key ASIC. 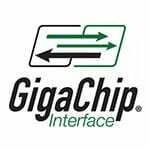 critical enabler is display driver ICs with dramatically more embedded memory.